As temperatures outside drop, people look for cozy indoor activities. What about the fiber arts? If knitting and crocheting strike your fancy, you will love Blazing Needles. 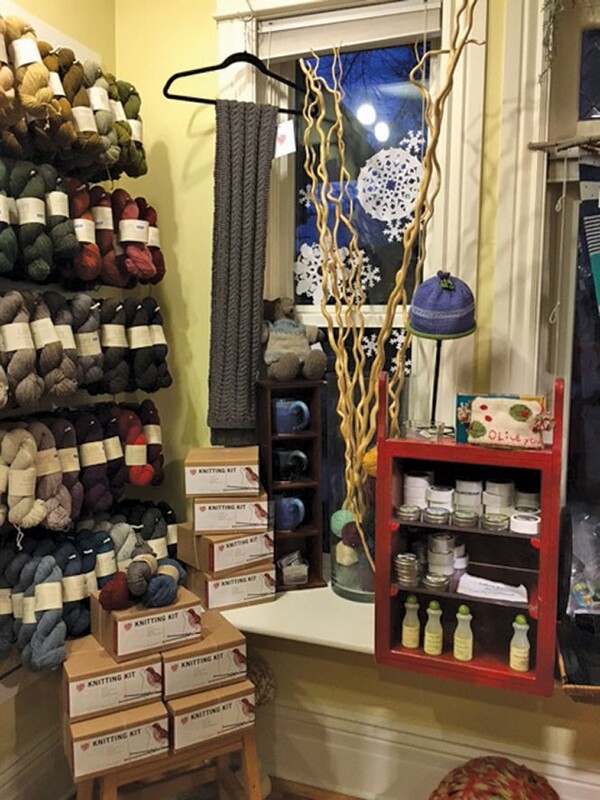 This charming little shop tucked away near the Yalecrest and 9th & 9th neighborhoods sells all the necessities for the craftsman/craftswoman supporting a serious knitting habit. But, more than that, it has become a unique community gathering place for knitters of all levels and styles. "Blazing Needles is a very special place because it provides a community where knitters and crocheters can come for inspiration, help and friendship," manager Emily Dages writes. "It's the kind of place where people of all backgrounds can gather together and form friendships over a common interest. Not many public spaces like that exist anymore, and it is really inspiring to see the community that the owner Cynthia has built here." Blazing Needles prides itself on creating the sort of space where customers come in if they're having the best day of their life, knowing that the employees will most likely have a bottle of champagne ready to open—or pop in on a bad day for sympathy and advice. "We are always ready to help with anything you need, from dropped stitches to help networking to finding a new job," Dages writes. "We love it when a new customer comes in and says, 'I think I've found my people!'" Dages has worked for Blazing Needles for a year and a half and loves the people she gets to work with—both her co-workers and the customers. "I sometimes joke that I feel like a bartender, because we have regular customers who come in all the time, and I know a lot about what is going on in their lives," she says. Dages knows her customers by name, knows what they like to knit, and loves talking to them about everything from politics to knitting patterns. "There are a few older ladies I have claimed as 'adopted grandmas,'" she says. "I love talking to them about how the world has changed since they were young." New to the knitting scene? Don't worry.Blazing Needles offers free classes for beginners every Saturday from 10:30 a.m.-noon where employees teach new knitters how to make a hat. "The class is free," she says. "You just need to purchase yarn and needles, and we will have you on your way to becoming a knitter," writes Dages. 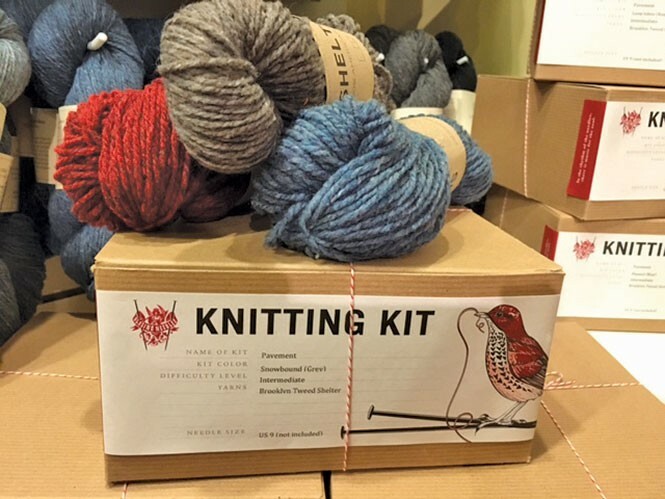 "It is perfect for total newbies, as well as people who have knit in the past and want to get back into the craft." Blazing Needles also regularly hosts trunk shows—a collection of sweaters, hats, scarves and other items that have been knit up so that people can see and try on garments before knitting them. "We love trunk shows, because it is an opportunity to see beautiful hand-knits up close—and we get to have fun trying everything on the day it arrives," says Dages. Check out Blazing Needles online to see when the next trunk show is scheduled.